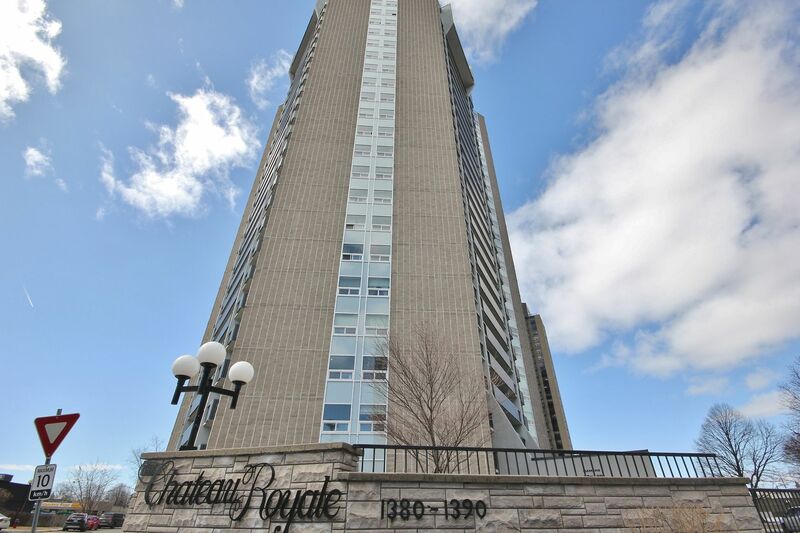 2509-1380 Prince of Wales Dr - Amazing Views of Mooney's Bay and the River located in Riverview Area! DARE TO COMPARE! Rare Opportunity to own the Largest "Royale Suite" 3 Bedroom, 2 Baths with app. 1267 sq. ft. Beautifully appointed with Thousands $$ spent over the years from the Kitchen and Baths right down to the Trim and the Fixtures. Spacious Layout with large Living Room & Dining Room, Gorgeous Kitchen w/ plentiful Cabinets, Corion Countertops and all the bells and whistles; Master with Full Ensuite, two other Bedrooms, Full Bath and In-suite Storage. Spectacular view of Mooney's Bay and the River from the 38 ft. Balcony and every room. Great Amenities Including: Indoor Pool, Sauna, Bicycle Room, Party Room, On-site Manager and More! Steps to Transit, Carleton U, Shopping, Schools, Underground Parking. If you want Style and Class, Look no Further!